FSEW provide freight and logistics solutions to businesses throughout the UK and abroad, providing a comprehensive freight collection, forwarding, delivery and tracking service to clients. This ranges from full/part load deliveries by road, sea or air, through to express deliveries either within the day, or next day. As well as having its own fleet of trucks, the firm has a number of partners based in the UK, Europe and the rest of the world, ensuring that it can provide the most cost effective means of delivering its clients’ goods worldwide. Currently, the firm’s largest customers are manufacturers of computer equipment, paper products, pharmaceuticals and retail display equipment. Geoff Tomlinson, with the assistance of Andrea O’Neil, started FSEW in Cardiff in July 2002, having identified that there was a gap in the market for a customer oriented freight forwarding company. Initially concentrating on forwarding freight for their customers, the business has developed and now owns a fleet of its own trailers and tractor units. In common with most start up businesses, the main challenge was getting the confidence of both suppliers and customers. Any business, regardless of its sector, consists of people dealing with people, and building up the confidence of the people that you deal with is of paramount importance. Without this confidence, you cannot negotiate credit from your suppliers, or get business from customers. Geoff and Andrea spent a lot of time in the first year of operation building these relationships, and creating the platform for FSEW to move forward. Given the customer orientation that Geoff wanted to ingrain into the company, as the company grew, the next major challenge was finding local sub contractors who would ‘sign on’ to that same ethos. Another major challenge in these first few years was finding foreign partners who would also commit to this ethos of customer care. With many contacts throughout Europe, Geoff spent many days in discussions, negotiations and travelling before signing contracts. This studied approach to employment and partnerships has paid dividends, as FSEW is held in high regard by every one of our customers, and we are proud of the reputation that we have built up for customer care and keeping promises. The growth of the business is down to hard work in building relationships, taking advantage of opportunities when they arise and ensuring that the customer always comes first. In getting the business up off the ground, Geoff and Andrea worked long hours in getting to potential customers and to suppliers and in ensuring that every one of their jobs ran smoothly from the customer’s perspective. Building relationships cannot be accomplished quickly, and for those relationships to prosper they must be built on strong foundations. Proving that the company is trustworthy takes time and effort. Promises on delivery schedules and standards of service were made, and they were kept. Taking advantage of opportunities is a must for all growing businesses. This is not only through looking to tender for and gain contracts, but in ensuring that all avenues for business expansion are explored. Many customers already have arrangements in place, but may not be entirely happy with their existing supplier. Researching the markets and ensuring that FSEW provides the services that customers want and need has gone a long way to ensuring our success in gaining new business. ‘The customer is always right’ may appear to be a hackneyed expression today, but it is as true now as it was in the past. 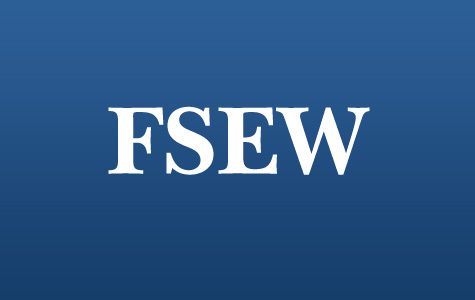 FSEW have set out to ensure that the customer comes first in any relationship, and have always sought to satisfy, and in most instances exceed, the customer’s expectations. The care with which drivers and partners have been sourced indicates that ensuring the customer’s needs are more than satisfied is the way forward. By building relationships, proving that the company delivers on its promises, taking advantage of opportunities and keeping the customer at the forefront of everything the company does, it is generating growth, allowing the company to expand year on year. FSEW have gained major contracts in the past year, and is looking to expand on this aspect of its business. While larger contracts provide significant volumes of work, these customers must also be provided with the same levels of service as smaller customers. Larger contracts can provide some economies of scale, allowing both FSEW and the customer to share those savings. However, FSEW are conscious of not becoming too dependent on large contracts over smaller customers, and is looking to ensure that the total mix of customer requirements remains similar to the current mix. Further expansion into world markets is planned – the main business of the company at present is within the UK and mainland Europe, and it plans to expand this to provide a structured service throughout the world. One service, which would appear to have excellent potential, is that of placing FSEW employees into the client’s factory or warehouse to handle all aspects of the logistics process. This covers everything from the composition of the loads through to delivery at customers’ premises. Providing FSEW employees in this way has benefits for both FSEW and the client. From the FSEW viewpoint, it can control the composition of loads, ensuring that the most effective means of delivery is used, while the client has all their logistics problems taken away, and without employing its own staff to do this. FSEW has prided itself on its communications systems, the ability to communicate with drivers and customers and to ensure that it is in control of deliveries and vehicles at all times. It intends to take advantage of more modern technology in this respect and will be looking to integrate an Intranet into its website, so that customers can have immediate updates on the status of their loads, and is looking at GPS technology for tracking vehicles.